Much like he did with his hit sci-fi sequel Riddick, Vin Diesel is keeping his fans up to date on Fast & Furious 7, by posting two more photos from the set on his Facebook page. 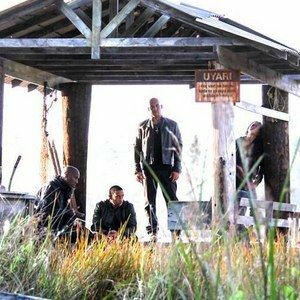 These images feature Vin Diesel, Ludacris and Tyrese Gibson on the set of this action sequel, directed by James Wan. Take a look at the latest images, and stay tuned for more photos and videos as production continues in Atlanta.